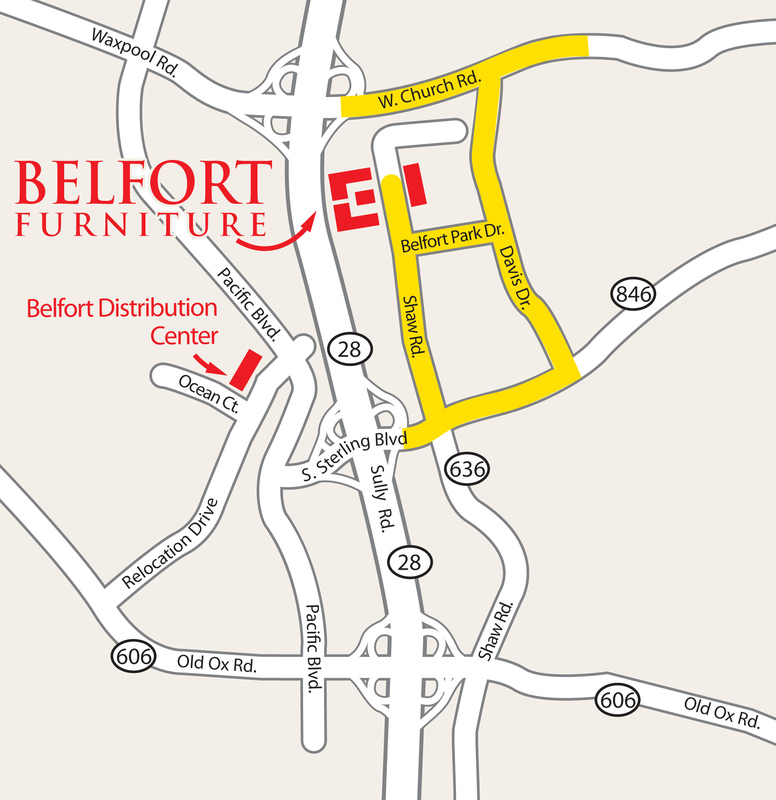 Why Shop At Belfort Furniture? JUST 15 MINUTES FROM TYSONS, VA! JUST 15 MINUTES FROM LEESBURG, VA! Located on Route 28 just 3 miles north of Dulles Airport and 3 miles south of Route 7. Take Route 28. Exit onto Route 846, Sterling Blvd. East. At the first light turn left onto Shaw Road. Continue on Shaw Road. After the four-way stop at Cedar Green Road, follow Shaw Road to parking lots on left and right. Only 15 Minutes from Tysons, Va! Only 15 Minutes from Leesburg, Va! Located on Route 28 just 3 miles north of Dulles Airport and 3 miles south of Route 7. Take Route 28, Exit onto Route 846, Sterling Blvd. East. At the first light turn left onto Shaw Road. Continue on Shaw Road. 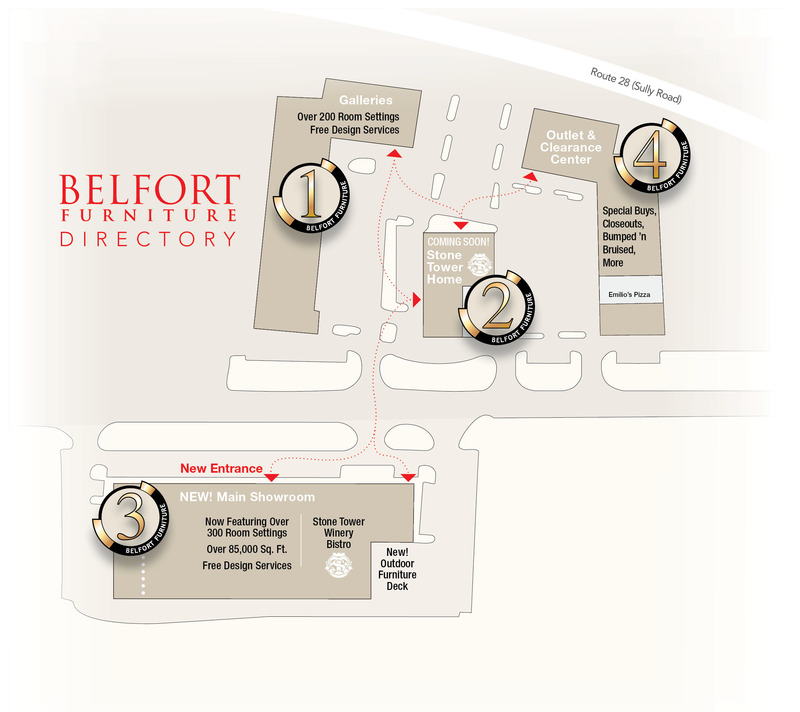 After intersection with Belfort Park Dr. parking lots are on the left and right side.